Does Common Core Affect Missouri Homeschoolers? Establish consistent learning goals for all students – regardless of where they live. Provide a clear roadmap of academic expectations at each grade level. Are relevant to the real world and prepare students for post-secondary education and a globally competitive workforce. Were developed by a diverse team of educators, researchers and parents from across the country‒including Missouri‒to be academically rigorous, attainable for students, and practical for teachers and districts. Building knowledge through content-rich nonfiction and information texts, in addition to literature. Reading and writing grounded in evidence from the text. Regular practice with complex text and its academic vocabulary. Focus: deeper learning in two to four areas at each grade level. Coherence: concepts logically connected from one grade to the next and linked to other major topics at each grade level. This could affect homeschoolers profoundly if it is not stopped. into the military could one day depend on learning the Common Core. books comply with Common Core! beyond anything we might now imagine. I’m glad to know that it’s currently illegal for the state of Missouri to tell me what set of standards(Common Core) or curriculum to use in homeschooling my children. The freedom to teach my children based on our beliefs, learning styles, and each individual student’s pace is imperative to education. We switched math programs to find one that worked better for us. We picked our history based on it’s broad inclusion of events, peoples, and biblical history. Our Language Arts is a combination of many different curriculum and materials to ensure the depth of learning. We are teaching in an environment and with materials that we believe in. Curriculum that we are confident will educate our children thoroughly despite any lack of education we ourselves may have. One of the things we emphasize is doing what you love. We’ve discovered in our own journey’s for happiness that doing work you love is imperative. Helping our children discover their gifts and talents and making a living at it is our goal for the next three decades. Passion for what you do makes all the difference in the world for having a happy life. My husband loves to design and now works for a successful solar company that he helped grow to what it is now. His love for his job and his satisfaction for what he’s contributing to the world is a wonderful example to our children. 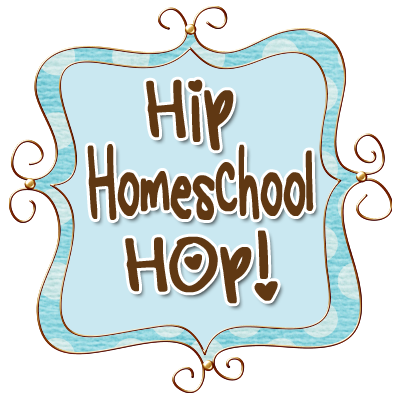 We hope to find each child’s passion and talent as we homeschool. Devoting more time on areas where passion shows. Allowing the child to blossom and become an expert by the time they are old enough to go out into the world. Thankfully there is not a law or set of curriculum that will limit us from doing that.